‘Let me write the hymns of the Church and I care not who writes the theology’ RW Dale. When we drive a car, we need to make careful use of the rear-view mirror. It is especially important, if we want to turn to the left or the right, to make sure that we are aware of what is going on behind us: if we want to avoid a crash, we need to be prepared for what may be speeding upon us unexpectedly. There is a dynamic relationship between what is in the front and what is behind and to go forward we need to be aware of both. For this reason, before making some observations about future developments on hymnals in the future, I need to make a few comments on the development of the hymn in the early Church and at the Reformation before drawing out its development in England. Another important aspect which I will discuss is the purpose of the hymn. Of course, the primary purpose of the hymn is the praise of God, but this praise is always articulated in a particular political, social and ecclesial context and knowing the context can deepen and widen its purpose. Footnote 1St. Augustine describes the purpose of the hymn in this way: ‘ Do you know what a hymn is? It is singing with the praise of God. If you praise God and do not sing, you utter no hymn. If you sing and praise not God, you utter no hymn. If you praise anything which does not pertain to the praise of God, though in singing you praise, you utter no hymn.’ Quoted from John Julian (ed), Dictionary of Hymnology, London, John Murray, 1915. Finally, I shall make some observations about the future of hymnals in England, pointing out that a congregation’s engagement with hymns has implications for mission: it follows from this that hymns should not simply be regarded as a category of liturgy. It is quite probable that in the earliest days of the Church, worshippers sang psalms and other passages that found their way into scripture. The non-biblical hymn first appeared in the Church in the East. Originally, there was a reluctance to allow into worship anything that was not found in the Bible, but the Church was virtually forced to allow hymns to be sung. The reason for this was that they became popular among the people: the problem was that people heard these hymns from heretical movements that existed in the early church and so the hymns which the people liked to sing promoted heretical doctrine which the Church did not like to hear. Moving to Rome and the West, the earliest hymn emerged under similar circumstances, promoted by the influence of the Arians whose belief about the person of Christ was condemned as heretical. The Church realised that it could not stamp out hymns because they were popular and attractive, and so hymn writing became acceptable in the Church and one of the great promoters of the hymn was Ambrose, Bishop of Milan in 374, who is regarded by many as the father of church song. Another devotee of the hymn, St. Augustine, writes of this period and how the singing of hymns kept up the spirits of Christians when they were being threatened by an Arian ruler. Footnote 2Augustine, Confessions IX, 7 It was from this time that the doxology Footnote 3The final verse of a hymn which praises God, the Trinity. originates, ensuring that worshippers at least ended the hymn clear about the personhood of Christ and the God to whom they were singing. The suspicion with which the early Church viewed the hymn has always been present: there was concern and even fear that the hymn might be transmitting erroneous doctrine and that because it was popular, it was giving a voice, and therefore some power, to the ordinary people. In modern times hymns have been described as Christian folk songs or the folk-song of the church militant. Over the centuries, the Church authorities tried to reclaim the hymn, with monks singing them in the choir, but the people continued to take them back, make them their own and sing them, often in the streets as well as the churches. Sometimes they sang them in the streets because they could not sing them in the churches. One of the biggest revolutions came, of course, at the Reformation when the singing of hymns became a means by which the reformers promoted new thinking and anti-catholic sentiments and, by enabling the people to sing, placed these ideas into the mouths and hearts of the people. The people were able to sing their faith in their own language and in their own way. Accordingly, the people changed from being spectators in worship and preaching to active participants. The hymn can therefore be a song of revolution, though the Catholic Church, like the early Church, viewed them as promoting heresy. Footnote 4See Luther’s hymn ‘Ein ‘feste Burg’ (‘A safe stronghold our God is still’) where the ‘ancient prince of hell’ is said to refer to the Bishop of Rome. Martin Luther especially used hymns as important instruments of pedagogy to convey the Gospel to lay men and women. Luther frequently drew his tunes (and sometimes the inspiration for his words) from popular culture. In the Lutheran tradition, hymns are not there to fill in gaps in the liturgy, but they are distinct forms of confessing the faith of the Church. In England, the Reformation did not follow the Lutheran path in regard to hymn singing but was heavily influenced by Calvin. The birth of the hymn (sung in English by the congregation) was slow and traumatic. While it became acceptable for the congregation to sing the psalms and portions from scripture, singing non-biblical hymns, as in the early church, caused controversy and threatened schism. Footnote 5The Old Metrical Version of the Psalms, compiled by Thomas Sternhold and John Hopkins, appeared in 1560. The Book of Common Prayer, the prayer book of the Church of England, published in 1662 makes no provision for hymns. Footnote 6The only exception to this is the ‘Veni Creator’ (‘Come, Holy Ghost’) in the ordination services. Indeed, it was through the so-called Non-Conformist Churches that hymns found their way into the English worship, with one of the greatest influences being Isaac Watts (1674-1748) who is regarded as the father of the English hymn. Two brothers, born no more than thirty years after him, share Watts’ prominence in their influence on the English hymn: they are John and Charles Wesley. Although they lived and died as Anglicans, the movement which developed under their influence eventually became the Methodist Church. The Wesleys’ approach to hymns was similar to Luther’s in that they drew on local culture for their tunes. From the beginning, hymns have had an overtly didactic purpose for Methodists and they became the vehicles which carried Methodist worship. They are used to express doctrine and so Methodist hymn books came to be formally approved by the councils of the Methodist Church and are considered to reflect Methodist theology and doctrinal standards. The Church of England was slow to accept hymn singing. Up until 1819 (less than 200 years ago), clergy could be taken to a Church Court for singing hymns in Church. Although some parts of the Church of England readily accepted hymn singing, others continued to resist, even though it was common practice elsewhere. In the middle of the nineteenth century, some clergy banned the much loved practice of singing a hymn around the grave after a burial. The people did not resist openly, but returned to the grave to sing their hymn after the clergyman had gone home. Such is the power and popular appeal of the hymn. However, for the Church of England, the hymn is not regarded as essential for its doctrine, but rather it accompanies the liturgy. All that is necessary for belief is to be found in the Bible, the Historic Creeds and the Book of Common Prayer, which makes no provision for hymns. Therefore, it is not so important that hymns are doctrinally sound (and many are not) because the Church does not rely on hymns to express its doctrine. Accordingly, the Church of England has never had an official hymn book authorised by the Church authorities, although some have been published with Church of England congregations in mind and so arrange the hymns in the liturgical year. Even though (or perhaps because) there is no official hymn book in the Church of England, hymns have always fostered passionate debate. There is always the possibility of a riot in church if a priest alters the words of a much loved hymn or changes the tune to which it is usually sung! 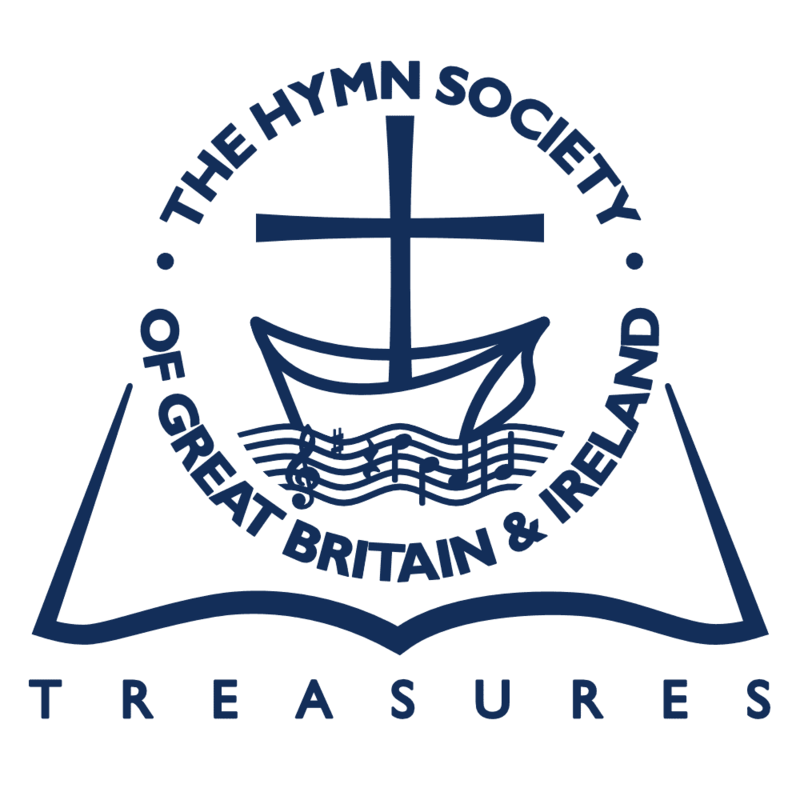 We will now drive in to the future of hymns and hymnals in England, but the reason for looking through the rear-view mirror is to remember that behind the hymn is a history which brings two important insights. First, hymns are the songs of the people, Christian folk-songs, folk-songs of the Church militant, and they can provide a means by which the people sitting in the pew can express their faith in their own way. This may mean that hymns are critical of those in power. Hymns can therefore be songs of revolution. Secondly, hymns have been associated with breakaway groups who have promoted doctrine and beliefs contrary to those in power. It is through heretical groups that hymns came to be sung in the early church; it was at the Reformation that hymns, sung in the vernacular, promoted the beliefs and emphases of emerging Christian movements, regarded as heretical by the Catholic Church, which have now become established churches on their own. Hymn writing is alive and well in the Churches in England. After a stuttering start in taking hymns seriously, our churches have produced many fine hymn writers, women and men, who enrich our worship and other gatherings of Christians. Hymn singing in England has also been enriched by hymn writers beyond our shores, from churches across the world as well as from movements such as Taizé in France and Iona in Scotland. Alongside some fine hymns, there have also been some poor hymns. However, it is always difficult to make judgement as one writer reminds us: ‘The hymn that revolts me, if it has been a means of grace to Christian men and women, I must respect as I should respect a communion cup, however scratched its surface, however vulgar its decoration.’ Footnote 7Bernard L. Manning, The Hymns of Wesley and Watts, London, Epworth, 1942, p.109. A significant development in congregational singing has been the emergence of the worship song or chorus which may not, strictly speaking, be a hymn, though it is certainly very popular. Hymns and worship songs together make up congregational song and many churches use both in their praise of God. Hymns and hymn singing are in good heart in the churches of England, but what has been lost is hymn singing in the streets. For a long time, hymns were sung regularly in schools and on civic occasions which kept the Gospel alive in the public square. There were hymn writers who could write hymns that were acceptable inside and outside of church. Sadly this is no longer the case. This may be a reflection of the Church’s engagement with society: or it may be that there is a lack of writers who can write for those outside as well as inside Church. Hymn singing undoubtedly has a future, but the future of hymnals is more questionable. Here are five reflections on the future of hymnals. Just as the invention of printing was a major influence at the Reformation in the way that the reformers could disseminate their views, so too, the internet and PowerPoint are having a major influence in the singing of hymns. Some churches have done away with hymn books and rely on power point enabling the words of both traditional hymns or recently written worship songs to drop down from above or move across the screen like a train. Other churches use a mixture of hymn books and PowerPoint. The technology is an effective way of enabling worshippers to sing recently composed hymns and may be convenient in an informal setting, though its presence may not always enhance the beauty of a church. At the same time, if a church only uses PowerPoint it will affect the use of hymns. Often the screen will show only a verse at a time and once the singing has finished the hymn disappears completely. Hymn books have come to be treasuries that can be drawn on to edify and deepen faith both inside and outside Church. In A Collection of Hymns for the Use of People called Methodists published in 1780, the preface describes the book as ‘a little body of experimental and practical divinity.’ Footnote 8See Brian Castle, Sing a New Song to the Lord, London, Darton, Longman and Todd, 1994, p.54. Singing the Faith, the Methodist hymn book published in 2011 re-iterates the hope that ‘the hymn book will be used to enrich private devotion as well as public worship.’ Footnote 9Singing the Faith, London, Hymns Ancient & Modern, 2011, p.viii. If a word or phrase that strikes the singer is seen only on the screen then it is not possible to flick back to reflect more deeply on it. Simply using PowerPoint does not enable the worshipper to look through the hymn book before the service, or even during the sermon, in order to become more acquainted with this great treasure of hymnody. The internet and PowerPoint bring many opportunities, but they need to be handled with care and critical reflection. The compiling of a hymnal inevitably takes some time which means that some hymns, whose popularity will be short lived, will be out of date once a hymnal is printed and new hymns, which have grabbed the popular imagination, will not be included. A hymn book, which is usually in use by a Church for at least twenty years, may place a congregation in a time warp, attached to a certain period in history, if it restricts itself to that book until the Church prints a new book. In England there are many hymn books in publication. A church may produce its formally approved hymn book, but congregations may not use it for a number of reasons: they cannot afford it or it does not contain the hymns that they like to sing or they prefer to use PowerPoint. Even if a denomination produces its own hymn book, there can be no guarantee that its adherents will use it. Some hymn books contain liturgical material which may make them more attractive to buy. In the past, hymn books have been published between the same covers as prayer books. The recently published Methodist hymn book, Singing the Faith, also contains liturgical settings, canticles and psalms. This could add to the reasons for a congregation to buy and use the book. Finally, the role of hymns needs to be taken into account in order to make informed decisions about hymnals. The power and potential of hymns have been vastly underestimated. Traditionally, hymns have been regarded as a sub-discipline of liturgy, whereas they should be seen as a discipline of theology and of mission. It is often through hymns that the theology of the people is articulated and these can be used for the purposes of mission. When I served as a parish priest in Zambia, traditional hymns were sung, from a book, in the vernacular and in the same service young people sang hymns which they had written. The young people’s hymns, written in a very different style to the traditional hymns, could be critical of the Church’s elders and provided an opportunity for theological reflection to take place and where a theology of the people was formed. The elders were willing to listen to words that were not always easy to hear but music was traditionally a place where such criticism could take place. The result was that the young thought that they were being heard and they were given the opportunity to worship in their own way. This meant that the Church consisted of young as well as elderly and the worship was deeply enriched by a kaleidoscope of musical styles. Hymns enabled these things to happen. The role of hymns, identified in the early church as the songs of the people, which could be critical of and even contrary to those in power, was being played out in Central Africa and the outcome was a healthy and vibrant church. For such engagement to take place, the traditional hymns were sung from a hymn book and the young people wrote their hymns in exercise books. This poses a challenging question about mission, namely what music and words express the spirituality of the young today. Are traditional hymns able to speak into their experience, hopes and fears? Maybe the lesson to be learned is that the Church’s strategy in the production of its hymns requires a recognition of the need for the permanent and the transitional to live side by side. The permanent is a hymn book with the best of the present and the past and the transitional are printed sheets or PowerPoint with new hymns. Whatever strategy is adopted needs to recognise the potential of hymns both within and outside of worship. Brian Castle is Bishop of Tonbridge, United Kingdom, and a member of the Society. 1. ^Footnote 1Jump back to footnote 1 in the text St. Augustine describes the purpose of the hymn in this way: ‘ Do you know what a hymn is? It is singing with the praise of God. If you praise God and do not sing, you utter no hymn. If you sing and praise not God, you utter no hymn. If you praise anything which does not pertain to the praise of God, though in singing you praise, you utter no hymn.’ Quoted from John Julian (ed), Dictionary of Hymnology, London, John Murray, 1915..
2. ^Footnote 2Jump back to footnote 2 in the text Augustine, Confessions IX, 7. 3. ^Footnote 3Jump back to footnote 3 in the text The final verse of a hymn which praises God, the Trinity. 4. ^Footnote 4Jump back to footnote 4 in the text See Luther’s hymn ‘Ein ‘feste Burg’ (‘A safe stronghold our God is still’) where the ‘ancient prince of hell’ is said to refer to the Bishop of Rome. 5. ^Footnote 5Jump back to footnote 5 in the text The Old Metrical Version of the Psalms, compiled by Thomas Sternhold and John Hopkins, appeared in 1560. 6. ^Footnote 6Jump back to footnote 6 in the text The only exception to this is the ‘Veni Creator’ (‘Come, Holy Ghost’) in the ordination services. 7. ^Footnote 7Jump back to footnote 7 in the text Bernard L. Manning, The Hymns of Wesley and Watts, London, Epworth, 1942, p.109. 8. ^Footnote 8Jump back to footnote 8 in the text See Brian Castle, Sing a New Song to the Lord, London, Darton, Longman and Todd, 1994, p.54. 9. ^Footnote 9Jump back to footnote 9 in the text Singing the Faith, London, Hymns Ancient & Modern, 2011, p.viii.